This project came about as do many of them, in an emergency situation. 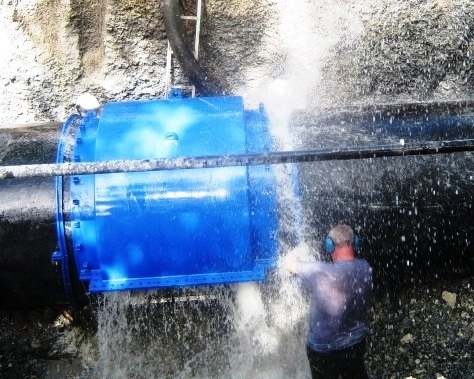 An Engineered Fabrications Specialist got a call on a Saturday evening from a contractor informing him that a concrete sewer force main had been damaged. 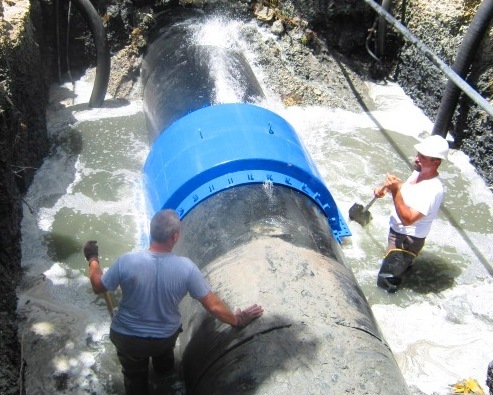 This is a massive problem for any city, but it became an even bigger problem because this sewer force main was located in the very densely populated city of Miami, Florida. As it turns out, the sewer force main was not just leaking into the streets, it was leaking into the Intercoastal Waterways along the coast of Florida. Our engineers developed the solution, sent drawings to the customer, got the drawings approved and then had our fabrications team come in specifically to work on the 48 inch bell pack all night. After the product was built, it was put on a hot shot to Miami. When it was all said and done, the job took less than 48 hours from the time of the call to the time the bell pack was delivered and installed. Call us at 800-643-9705 and ask to speak with an Engineered Fabrications specialist or click here to email an Engineered Fabrications Specialist. They can help you identify the right solution for your application. To help with answering your questions quickly and efficiently, please use this form to guide you in gathering the necessary information.